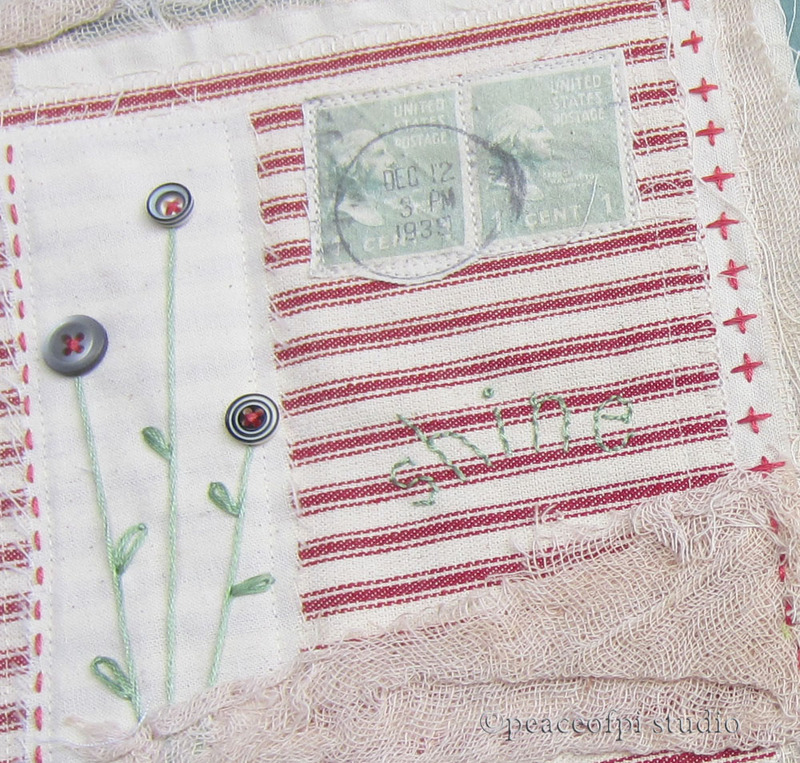 This little stitched piece with hand embroidery is part of an in progress fabric book. It has button flowers and a collage stamp image from the 1930's that's been printed onto fabric. 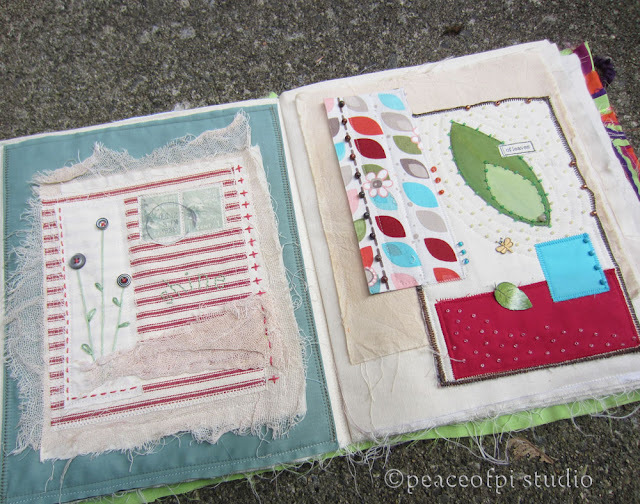 Each page of the book is about 9 X 11 inches each, making this a much larger piece than my previous fabric book. Because both theme and color schemes work well side by side, these two Stitched Collages will be pages 3 and 4 of the Fabric Book. 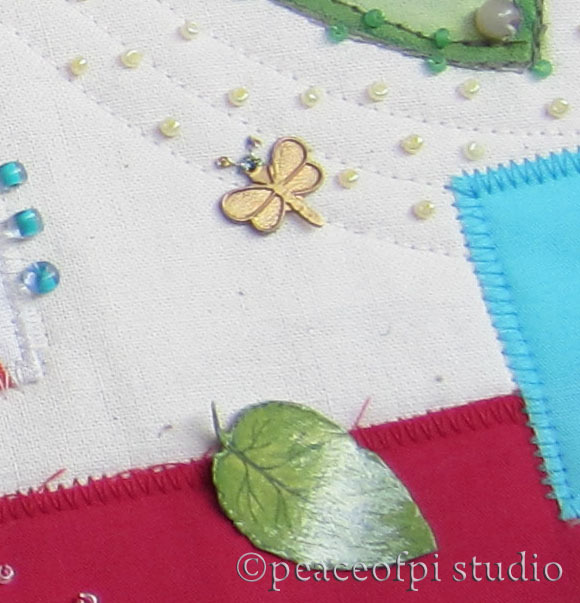 Page 4 has some 3D elements - a tiny gold dragonfly surrounded by beads and a paper leaf. More decisions have to be made, but this fabric book, sort of an art journal in fabric and stitch, is nearing stitch-y completion.